Timmy Robinson's best friend in the whole wide world is a six-foot tall rotting zombie named Fido, played hilariously and touchingly (and convincingly) by Billy Connolly. When Arlene, a deeply religious local supermarket clerk who believes in UFOs, has a vision of a coming alien visitation, everyone deals with it in their own way, including her scam artist boyfriend. Horror writer Whitley Strieber’s story about a New York cop who investigates a series of brutal deaths that resemble animal attacks. The same Whitley Strieber goes with his family and some friends to his holiday home in the forest in this autobiography. Are their weird experiences UFO activity, or is he going insane? Based on the experiences of an Arizona logger who mysteriously disappeared for five days after a UFO encounter in 1975. The character development is fascinating, although the ending of the film is nowhere near as weird as the “true” account. Jeff Randall and Marty Hopkirk are a private detective team. When Marty is killed by a hit-and-run driver, he comes back―as a ghost―to help solve his own murder and other mysteries. Understated, but very entertaining. Gary Hobson gets tomorrow's newspaper today. He doesn't know how. He doesn't know why. But when the early edition hits his doorstep, he has twenty-four hours to prevent disaster. Along the same theme, a young, talented reporter can't find work with a major paper so he signs on with a tabloid. There he learns that all the tabloid stories are true, including aliens, big foot and reincarnation. A family of friendly monsters don’t understand why people react to them so strangely. Yes, it’s cornball, but it’s delightfully silly and a lot of fun. The inspiration for both Chronicle and Early Edition, at least in terms of the profession of journalism. Newspaper reporter Darren McGavin investigates strange supernatural occurrences in Chicago. Easily the best paranormal series of its kind, and the forerunner of later shows like X-Files, Fringe, etc. A few weeks ago, Donna and I drove down to Paracon at the Shooting Star Casino in Mahnomen, where they again had a remarkable slate of speakers on mostly psychic/ghost topics, and mostly from popular TV shows. The notable exception was the return of Stanton Friedman, who had given his "Flying Saucers Are Real!`talk there last year but time gave a presentation on the Limits of Science, including some comments on how science has been wrong in its approach to paranormal subjects. One can only be impressed with how Stan finds the energy to be on the road so often, giving lectures literally around the world every month. (I think he`s in Finland as I`m writing this blog post.) 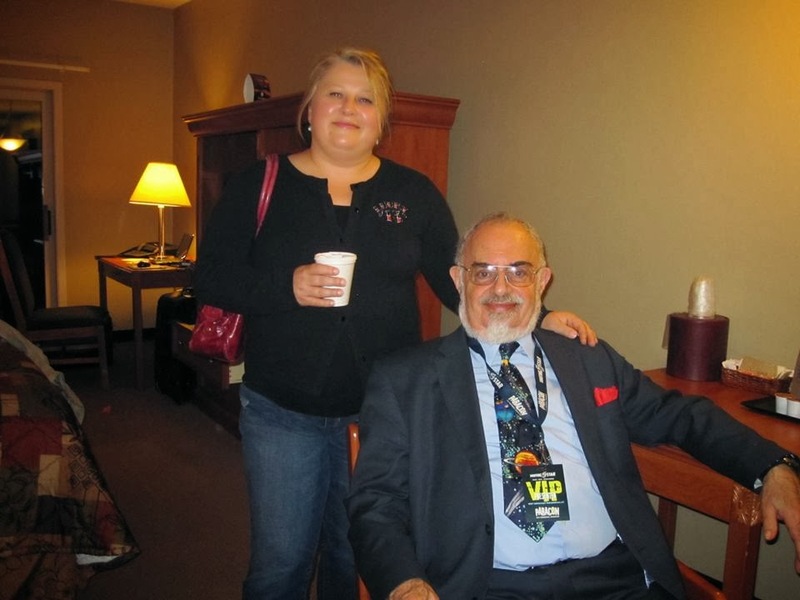 He made a point of sitting at a table in the Paracon dealers` room, not just selling books but more often than not patiently listening to visitors` personal UFO stories and answering their questions. While sitting with him, I met everybody from local MUFON members to retired personnel from nuclear submarines who shared experiences related to odd observations at sea. Following Stan`s presentations, he graciously allowed me to record some video of him answering questions concerning his 45 years of UFO lecturing and research. First, here`s Stan answering my question: How has ufology changed since you began lecturing about UFOs, back in 1967?